Where's Santa? Depends On Which Tech Titan You Ask : The Two-Way NORAD's online Santa Tracker is powered by Microsoft. This year, Google launched its own. And Santa's precise whereabouts are hard to pin down. It's Christmas Eve, and you have just one burning question: Where's Santa? Normally we'd point you to NORAD, the North American Aerospace Defense Command. The operation runs an aerospace warning system that "includes the monitoring of man-made objects in space, and the detection, validation, and warning of attack against North America whether by aircraft, missiles, or space vehicles." At Christmastime, volunteers turn their attention to tracking Santa. 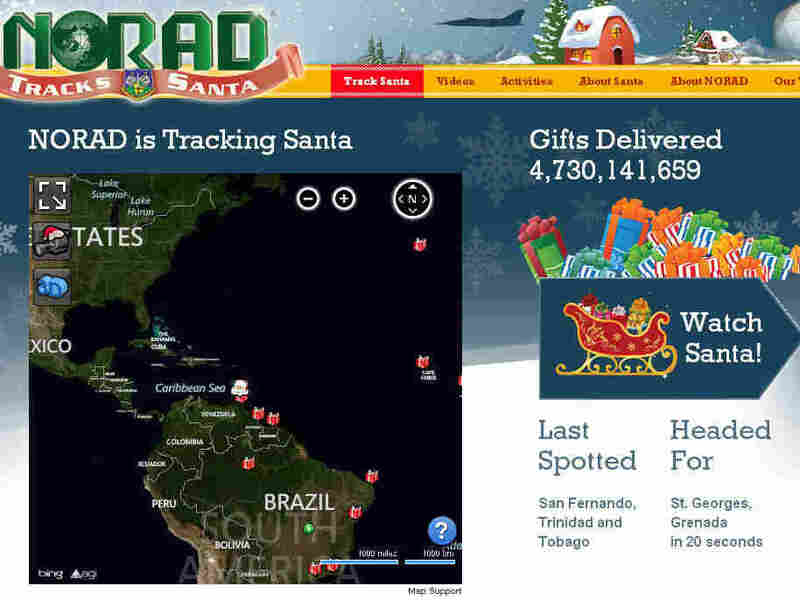 NORAD Tracks Santa, powered by Microsoft. This year, though, "Where's Santa?" is a question the Internet seems to be having a tough time answering with precision. Why? 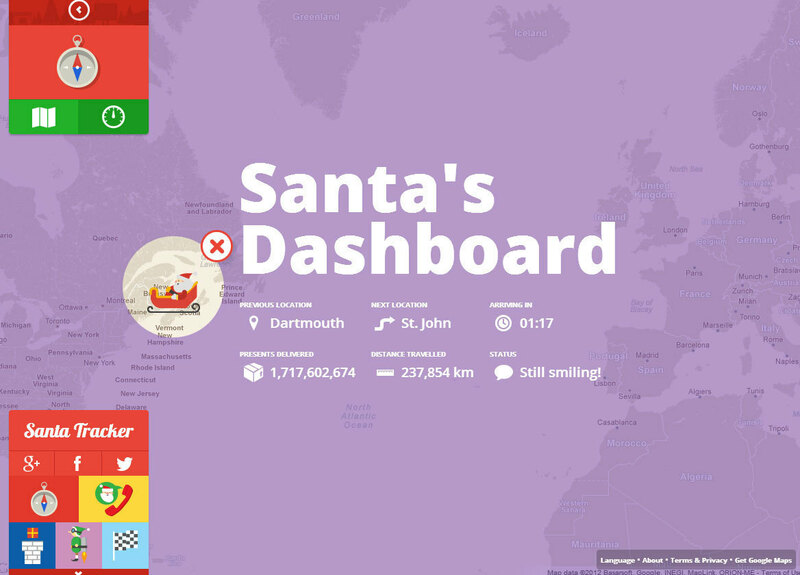 Well that's because Santa's whereabouts depends on which tech titan you're asking. 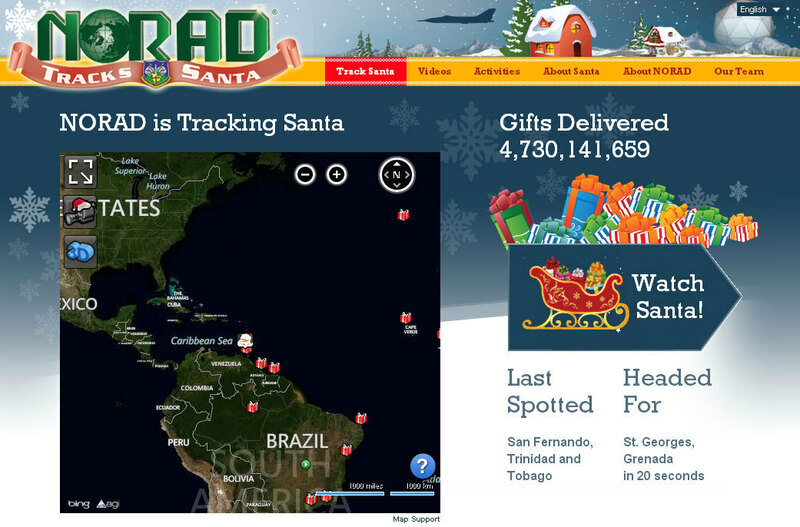 The Washington Post has the details: NORAD's Santa Tracker was powered by Google until last year. 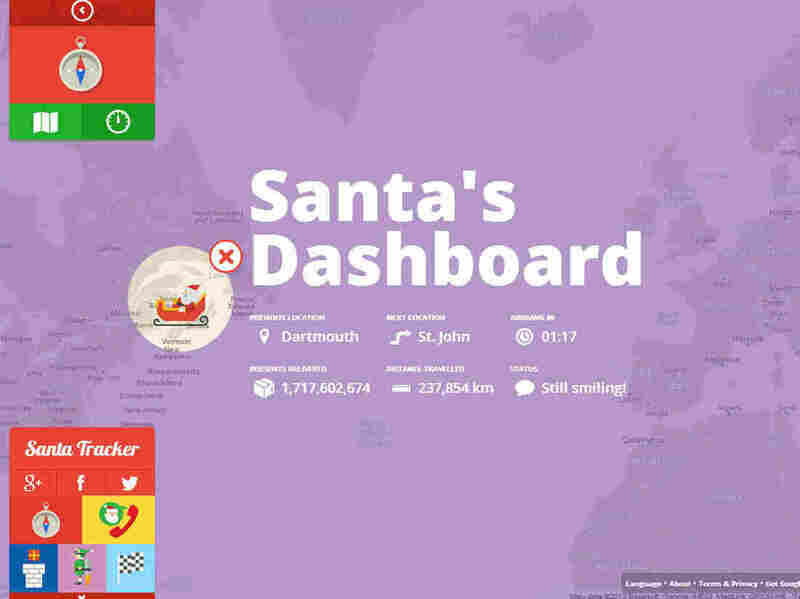 This year, Google took its Santa-tracking expertise to its proprietary Santa's Dashboard, with giving over NORAD's Santa Tracker to a new Microsoft platform. "Looks like Google has applied their patented 'scroogled' algorithm to their Santa tracker this year, or that Bing users have been very, very nice," said Frank Shaw, Microsoft's public relations chief. "We know the NORAD Bing tracker is showing Santa's actual location and is delivering three times the amount of Christmas presents. So, kids better hit the sack when they see him getting close to their neighborhood on NORAD's site." And if you're curious about how Santa makes it to every house, NPR's David Greene spoke with astrophysicist Neil deGrasse Tyson about the science behind Santa's Christmas Eve journey.